The 2016 Merlin PR7 has arrived! The best value entry level bike is now the best looking one too. 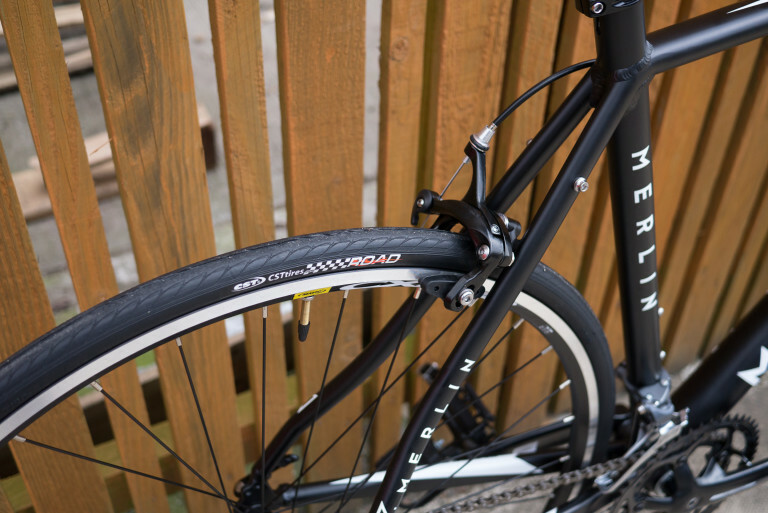 The Merlin PR7 gets a fresh new look for 2016. An unbeatable value alloy road bike with carbon fork and Shimano Claris drivetrain and Mavic CXP-22 wheels. All of this super sharp shootin’ machine for a paltry £349.99! The revised paintjob really does give the PR7 an added bit of style of class that makes it look like a much more costly machine. Yep, that’s a carbon fork. 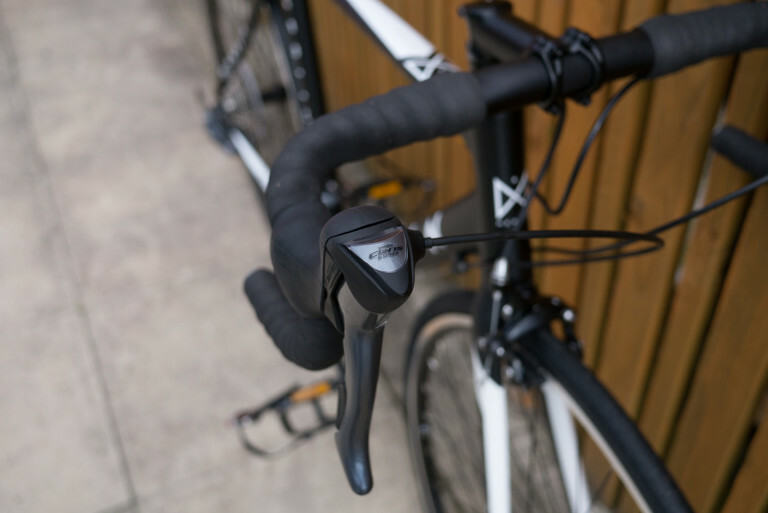 Shimano’s 8 speed Claris groupset takes care of shifting and braking duties. If you’re looking for your first road bike then look no more. The PR7 rivals other bikes that cost twice this price. It’s not just a good looking bike, it’s a great riding bike too. A sophisticated aluminium frame paired with a carbon fork and built up using quality Shimano gearing and Mavic equipped wheels. This bike is a real testament to how technology that was previously found on much more expensive machines ends up trickling down to bikes at the more affordable end of the spectrum. The frame is the heart of any bike and it’s here where the PR7 really impresses. 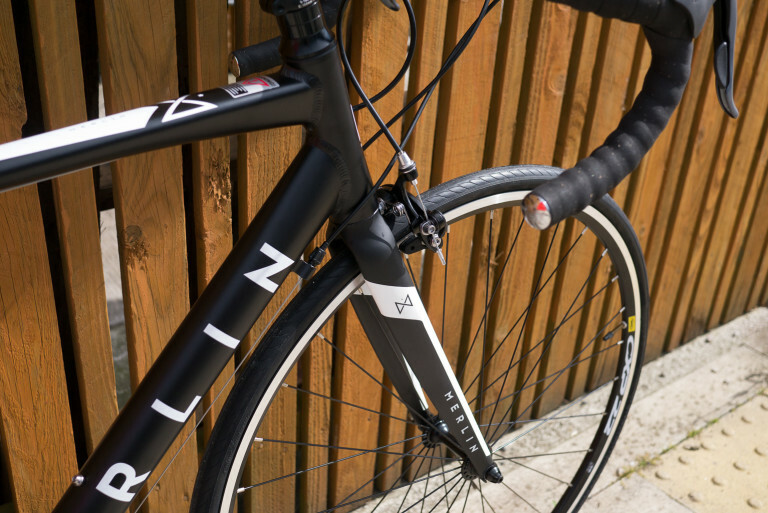 A quality aluminium tubeset with profiles rarely seen on entry level bikes. The integrated heat tube, oversize bi-axial down tube and broad-to-slim top tube all combine to give the frame impressive stiffness and efficiency under power. We have specced the tyres as a 25mm option. This really helps to offer a smooth and forgiving ride over less than perfect road surfaces. Our designers have done a great job with the paintjob and the decals too. We think this is a really classy looking bike. Why should less expensive bikes look naff? The carbon fork is a real bonus. 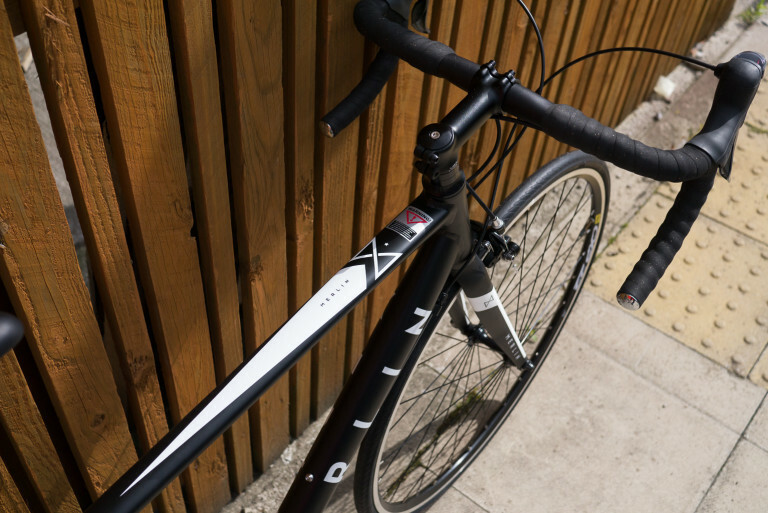 Often the first thing that gets replaced on entry level bikes is the harsh metal fork, so we saved you the bother and fitted a decent carbon fork from the get-go. Above all it’s a simple and reliable machine. The Shimano Claris drivetrain offers crisp and quick indexed gear shifting with a broad range of gearing that’s capable of steep climbs as well as flat-out sprints. A final feature to mention is the mount on the rear stays which means that you can run a rear pannier rack simply and reliably. 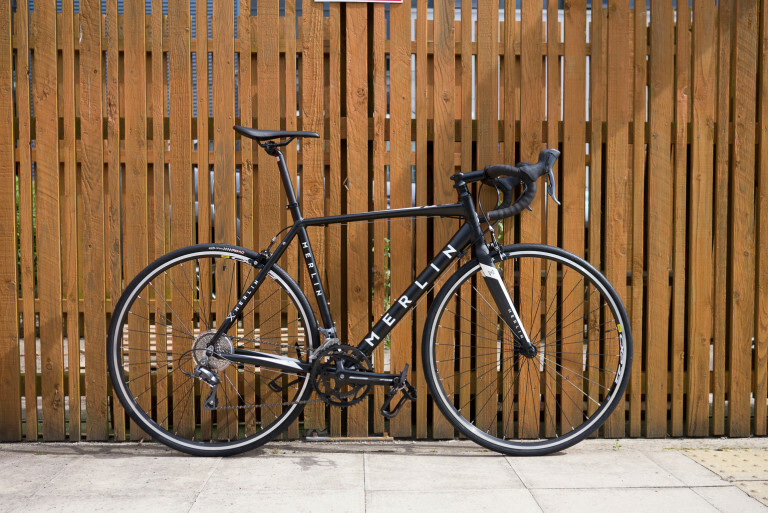 We have a history in designing excellent road bikes and although this is one of the lowest price ones, it’s also definitely one of our favourites. Tagged 2016 pr7, beginner, entry level, merlin pr7, new pr7, pr7. Bookmark the permalink. If this bike is new in today why does the site say there isnt any 56cm and above bikes ? Hiya. Must have been a temporary database/stock glitch. Sorry. All sizes in good stocks at the moment.